Right off the bat, you need to get this straight into your head. Tinnitus is neither an infection nor a disease. Tinnitus is an indication of an underlying health problem such as hearing loss, ear-tissue damage or hypersensitive to sound. If you perceive sound in the absence of an external source of sound; then, you are suffering from tinnitus. The type of sound perceived may might be buzzing, clicking, ringing, chirping, hissing, whistling, whooshing or humming. Some tinnitus-sufferers experience this sound continuously. For others, the sound is intermittent. The magnitude of the tinnitus sound is always relative to the surrounding noise. If the surrounding noise is high, the perceived tinnitus sound is low. This is completely independent of hearing loss. The severity of tinnitus varies greatly. For some people, it is just an annoyance which they can afford to ignore. For others, the sound is a ruinous nuisance, preventing them from sleeping, concentrating and working. Hearing loss: Tinnitus does not cause hearing loss and hearing loss does not cause tinnitus. Even though, hearing loss is often associated with tinnitus, there is no causal relationship between the two. There exist a few weird cases of hyperacusis. This is a phenomenon in which tinnitus-sufferers become hypersensitive to sound, picking up even the minutest sounds from long distances. There exist other tinnitus cases, in which, the perceived sound rhymes with the heart beat. This is known as pulsatile tinnitus. There is musical tinnitus, also called musical hallucination. This consists of perceiving music; even though, no music is playing. Tinnitus is caused by an underlying health problem such as stress, overweight, infection, damaged ear tissue or noise-induced hearing loss. More than 80% of all tinnitus cases results from hearing loss due to prolonged exposure to loud noises. It should therefore come as little surprise that the highest concentration of tinnitus-sufferers is found within professions as construction work, the military, rock musicians, landscapers and pilots. It is simple. You run a higher risk of suffering from tinnitus, if you work with loud machines. Also note that repeated exposure to loud noise is not necessary to provoke tinnitus. A single sudden exposure to loud noise can trigger tinnitus. Besides loud noise, your tinnitus could have been caused by infections and medical conditions such as Meniere’s disease, otosclerosis, temporomandibular joint disorder, anemia, cardiovascular disease, overweight, diabetes, etc. Dirt! How simple is that? The accumulation of dirt in your ear canal could provoke tinnitus. A high concentration of ear wax in your ear canal could also provoke tinnitus. Any injury to the head or neck could trigger tinnitus. Here is what I want you to retain. Tinnitus is always caused by an underlying health problem. It is that simple. 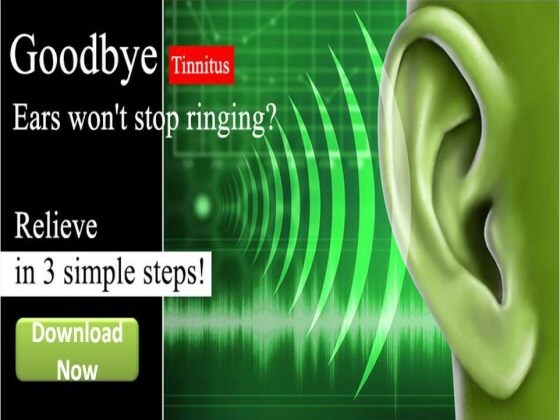 If you remove the health problem, the tinnitus will go away.